While every PC user with Windows OS her / his machine, is waiting, rather anxiously, for the Windows 10, Windows 93 has been launched, causing a shocking surprise for majority of the Windows users. Windows 93 is, in fact an outcome of the initiative by two hackers, though not a close similarity to the Windows 10 or even Windows 8 but a web-based operating system and has been released just for the sake of entertainment. But, rest assure; Windows 93 is not there to work as your normal OS but is release for fun. Two software developers Jankenpopp and Zombectro, started the project in October of last year but its full version has just been released on Reddit, a couple of days ago. 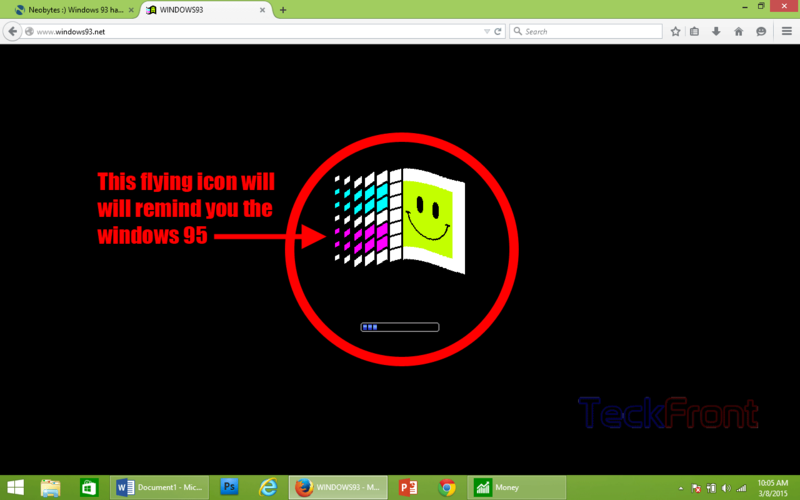 Upon opening the Windows 93 at http://www.windows93.net/, a screen, similar to the classic Windows desktop more like Windows 95, will welcome you. 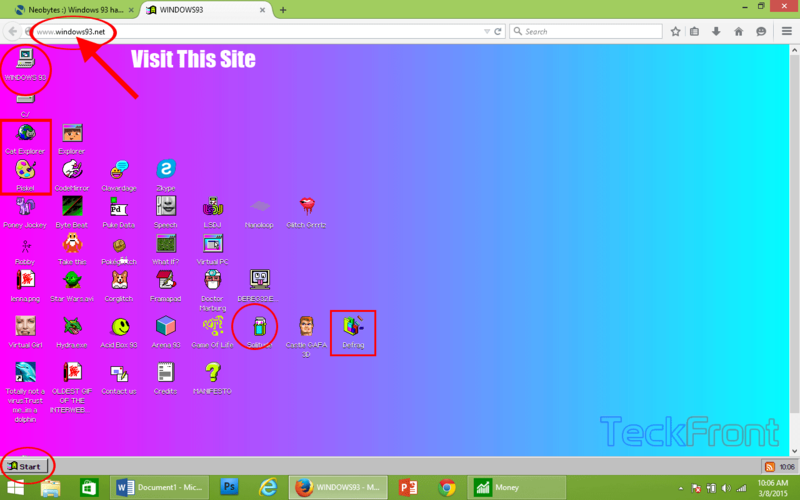 Though you will see many icons, similar to those of Windows, on its desktop but are parodied. Internet Explorer, for example, is nicknamed; ‘Cat Explorer’ while the Google or Bing will redirect you to Ixquick and DuckDuckGo. And more interestingly, MS Paint is there but dubbed as ‘Piskel’. Now, let’s visit Windows 93 and start enjoying it. 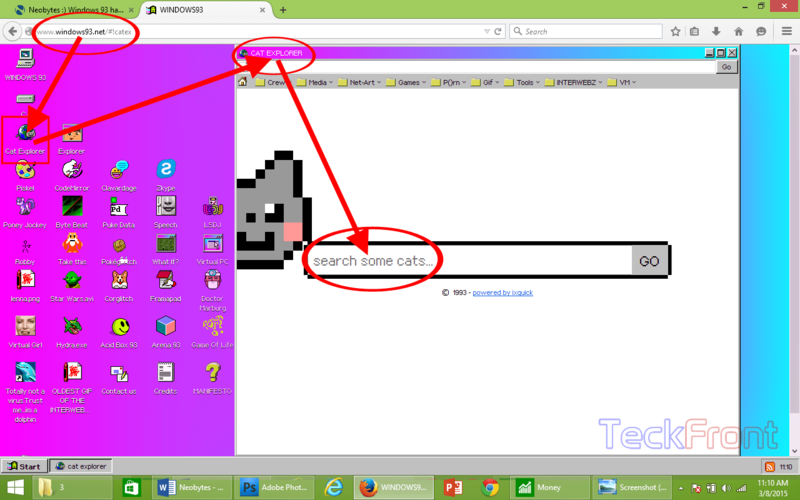 1: I tapped the ‘Cat Explorer’ and it took me to the search engine. 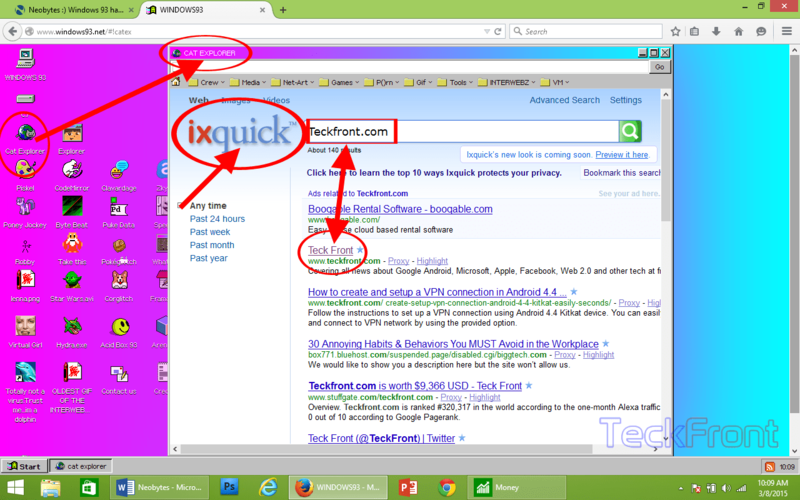 2: I entered the search for ‘Teckfront.com’ and the search outcome located the ‘Teckfront.com’, successfully. 3: I tapped ‘Teckfront.com’ on the search engine and ‘Cat Explorer’ opened the ‘Teckfront’, successfully, within the ‘Cat Explorer’. Now, this is your turn to enjoy the Windows 93. Let’s do. Newer Can Surface Pro 4 of Microsoft Put New MacBook of Apple on Defense? How to Enable Time on Lock Screen Clock of Android Marshmallow Smartphones? How to Set Time Period to Show Data Usage in Android Marshmallow? 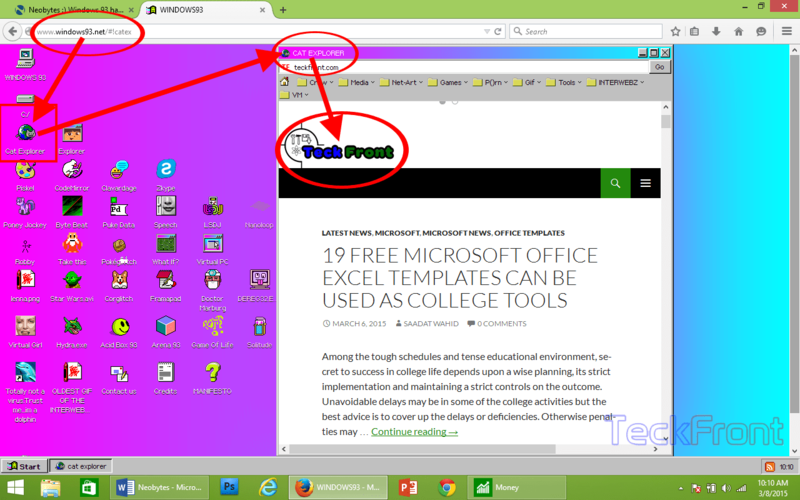 How to Enable Customization of Start Screen in Windows 8.1?